Hillsong Health Centre based in Baulkham Hills, aims to provide quality health care to our community. We believe in caring for the whole person by providing care through a team of highly qualified and professional medical practitioners, psychologists and counsellors. The Health Centre operates as an appointment system. We will make every effort to accommodate you with your preferred tie, GP, Psychologist or Counsellor. Appointment times vary depending on each Doctor, Psychologist and counsellor. Standard psychologist and counselling appointments are 55-60 minutes. Our GP offers BULK BILLING for Medicare and Veterans Affairs card holders and AHM/NIB health insurance. Overseas visitors are able to access services at a discounted rate. Consultation fees are required the same day as consultation. Minor Surgery & Procedures you will be charged a $40 gap and $25 disposable instrument fee as well as the current Medicare Schedule Fee. Your GP or Reception will be able to advise you of the current Medicare Benefit Schedule fee applicable for the relevant procedure Item Number. We require payment prior to your appointment. For initial appointment, payment is required in advance to secure your booking. Medicare and Private Health care provides rebates on psychologist appointments in some circumstances, where people have a Mental Health Care Plan from their doctor. Please call our reception staff to find out more about payment options. Cancellation Fee will apply without 48-hour notice. Without 48-hour notice, we are unlikely to fill vacancies. If you are experiencing a medical emergency please advise the receptionist so that the GP can be immediately alerted. Non urgent messages will be given to the doctor between patients for action at a later time. Where the patient is unregistered a fee will be charged. Please phone Sydney Medical Service on 8724 6300 who will be able to confirm the current fee. Our practice is committed to preventative care. We may issue you with a reminder notice from time to time offering you preventative health services appropriate to your care. If you do not wish to be part of this system please let us know at reception. In most cases we do not disclose pathology and other test results over the phone. Your GP will phone you personally if your result needs immediate attention. Your GP will instruct Reception to contact you to make an appointment, usually within a week of your consultation, if your results need discussion. If your results indicate no action necessary, we will not contact you. However, should you be concerned about your tests, you are welcome to make an appointment to further discuss your health. Your counselling records are confidential documents. It is the policy of this practice to maintain security of personal health information at all times. This information is only available to authorised staff members. This practice has a no smoking policy. If you have concerns or questions we welcome feedback. Please feel free to talk to the Practice Manager. You may prefer to write to us. We take your concerns, suggestions and complaints seriously. GP available to provide for all your medical needs. Life situations can sometimes leave people out of their depth. Having someone they can seek professional support from while getting through the rough patches can make all the difference. We look forward to welcoming you at our Health Centre. Many of our Psychologists are members of APS (Australian Psychology Society), and our Social Worker is a member of the AASW (Australian Association of Social Workers), and have minimum of four years academic training and supervised in-field training. We require payment prior to your appointment. For initial appointment, payment is required in advance to secure your booking. Medicare provides rebates on psychologist appointments in some circumstances. Please discuss with Reception if you would like further information regarding payment options. Cancellation Fee will apply without 48-hour notice. Without 48-hour notice, we are unlikely to fill vacancies. Andy comes to us from Oberon where he has worked in general practice for thirty five years. He and his wife Carol have raised their four children there, and he is also pastor of the Oberon Christian Life Centre church. Andy’s medical training was directed at being a country doctor. 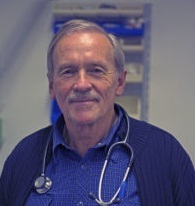 He earned his basic medical degrees from Sydney University and then did further training in paediatrics, anaesthetics, intensive care and obstetrics in various Sydney hospitals and in London before moving to rural NSW. As a country GP and pastor he has extensive experience in all aspects of personal care and family medicine. He is no longer delivering babies, but enjoys antenatal care and all aspects of family medicine. He and Carol are moving to Sydney to be nearer to their family, and he is really enjoying being part of the Hillsong CityCare Health Centre team. Special interest in: working with adults with a particular emphasis on anxiety, depression, stress and life adjustment/transition issues. Able to supervise psychologists and counsellors. Special interest in: working with school-aged children (counselling/parenting concerns, educational/developmental concerns – including assessment), Couples counselling (Gottman Level 3 certification). Also, broad range of issues – anxiety/stress, depression, grief/family separation, aged clients. Rosemary is also able to supervise psychologists and counsellors. Special interest in: working with students and young adults with a particular emphasis on anxiety, depression, relationship and family issues, stress management, maladjustment and promoting complete well-being through self-development. Additional services also include coaching in leadership development and vocational assessment for individual career guidance.